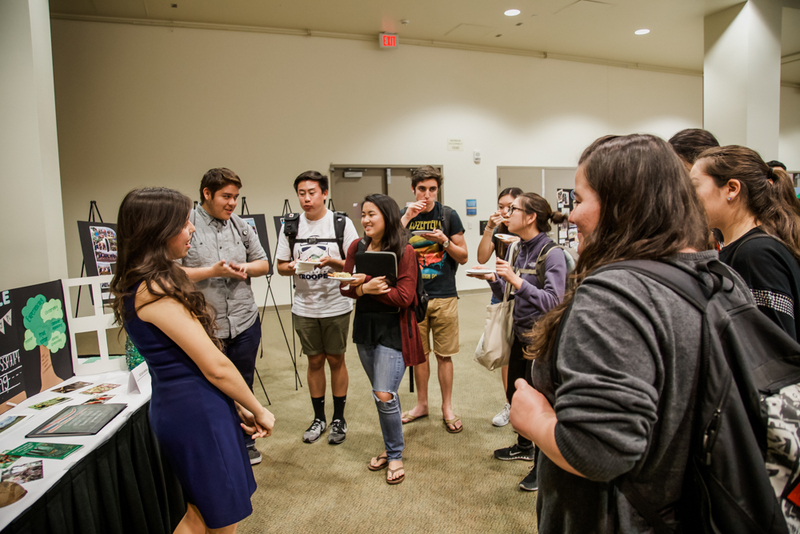 On March 31st, seventeen University of California, Irvine students stepped back onto American soil from their spring break adventures in Costa Rica. The cool Southern California air was a shocking reminder that we were now thousands of miles away from the humidity and orchestrated sounds of nature that we had grown accustomed to over the past ten days. Despite being our home, the US felt strange and foreign to us—no more composting toilets or scarlet macaw sightings in the early morning. To many, a spring break in Costa Rica sounds like a traveler’s paradise. Resorts, beaches, and sunbathing come to mind. 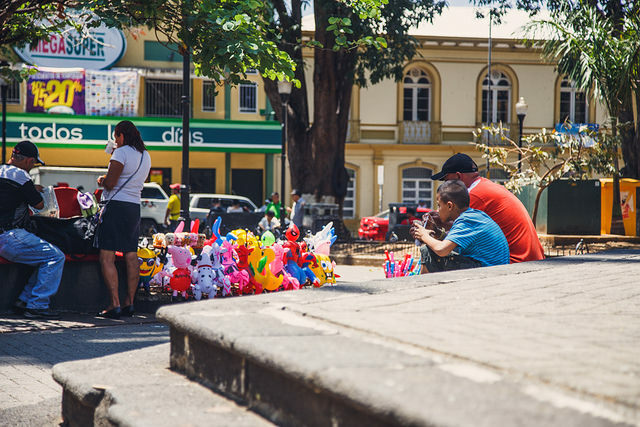 But the participants of the Costa Rica Program take a much different approach to their vacation time—a road less travelled, but arguably more rewarding. We started our journey in the country’s capital of San José, visiting the Museo Nacional de Costa Rica (the country’s national museum). 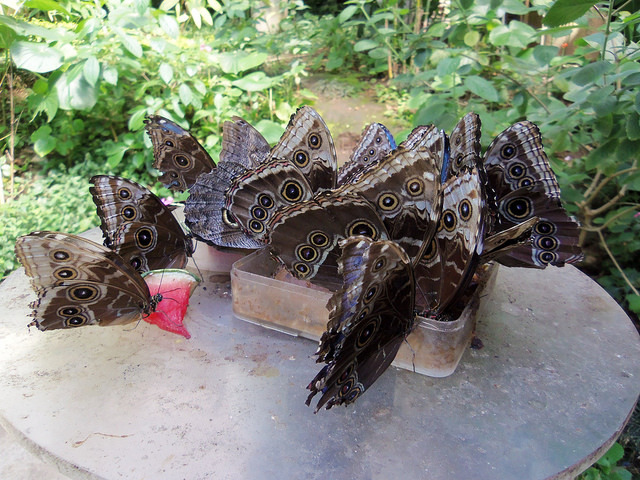 We had not even been in the country for a day and we were already surrounded by an array of wildlife, including a number of butterflies and exotic plants. After spending some time at the museum learning about the history of Costa Rica and admiring the view from the top of the building, we made our way to a local market and ate lunch. Experiencing such a crowded marketplace would be a drastic contradiction to the community we were heading towards. There were stalls selling backpacks, jewelry, pastries, and poultry. Our group ate inside in a small restaurant with room for several other customers. By the time we arrived there, most of us were hungry from walking around the museum and taking in all our new surroundings. 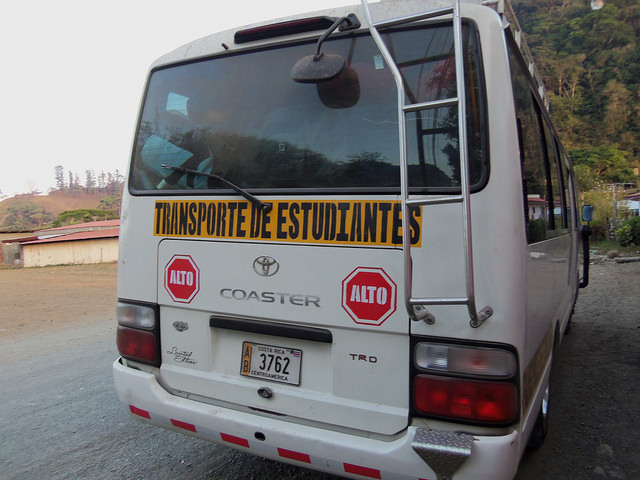 Soon after, we piled into our bus with our two guides, Marcos and Ryan, to travel two hours to Mastatal, a small community near Puriscal County, where we would stay for six days. By the time we arrived, it was dark (the sun rises at 5:20AM and sets around 5:30PM). 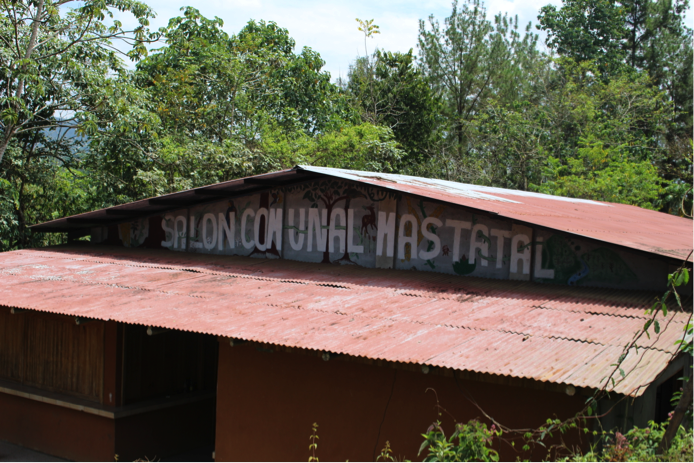 Marcos, a local of Mastatal, led us to Finca Siempre Verde, his sustainable farm and environmental learning center. 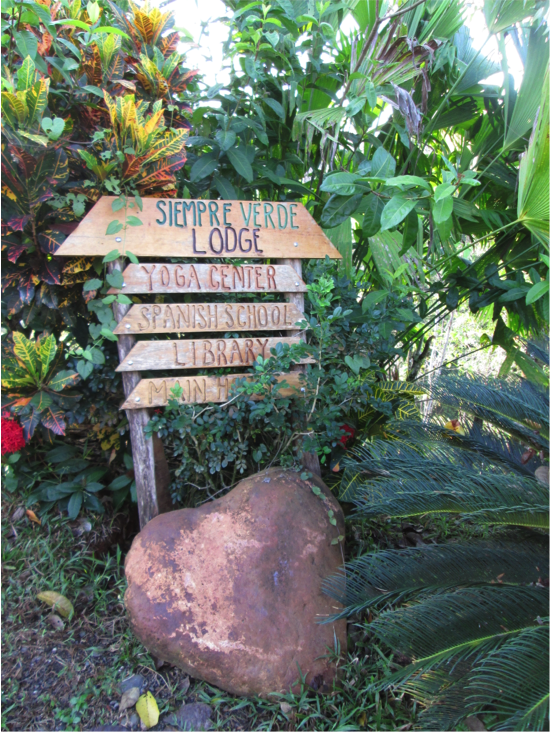 Siempre Verde is not just a farm, but also a Spanish school for volunteers that work in neighboring farms. Siempre Verde is a farm like none of us had imagined. The notion of a traditional American farm with a large red barn and haystacks could not have been further from the reality laid in front of us. Marcos taught us the values of organic farming methods. Built upon hillsides, crops were carefully tended to via multiple cropping, as opposed to the monocropping culture we see in the US. While on the farm, we had to be careful walking to and from our open-air rooms to the composting toilet just a short distance away. While odd at first, we all became accustomed to lacing up our hiking boots before trekking to the restroom in the middle of the night. Some might find it peculiar to be using a toilet with no real walls, overlooking the mountainside, but it was actually strangely tranquil. 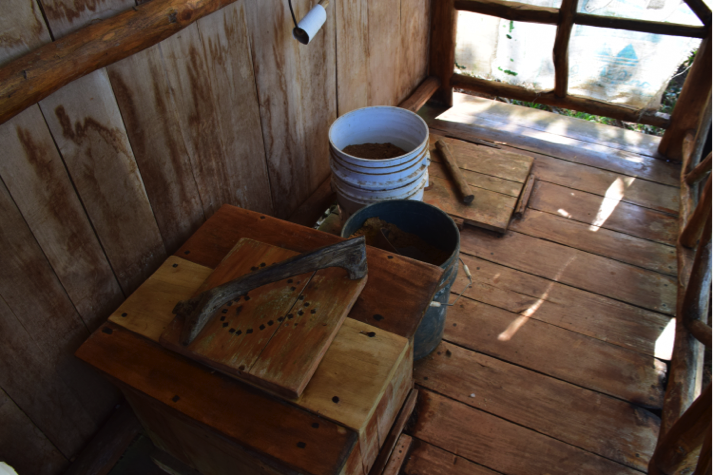 The composting toilet can be mastered in three easy steps! Lift the lid, do your business, and put in a scoop of sawdust to keep the smell to a minimum! Just one of the many gorgeous views on the farm—this one was taken from the open-air kitchen and dining area. Our stay in Finca Siempre Verde was enriched through our interactions with farm volunteers from around the US and Marcos’ family. Time was spent building relationships with one another, reveling in the new experiences we had during every moment of every day. We spent time helping with farm chores, like collecting cashews from cashew fruit, cleaning out the composting toilet and distributing compost to trees throughout the farm, and making starfruit jam. None of our activities while on the farm ever felt purposeless, and we felt the need to do more. Some mornings, participants would wake early to help milk the cows or cook breakfast. 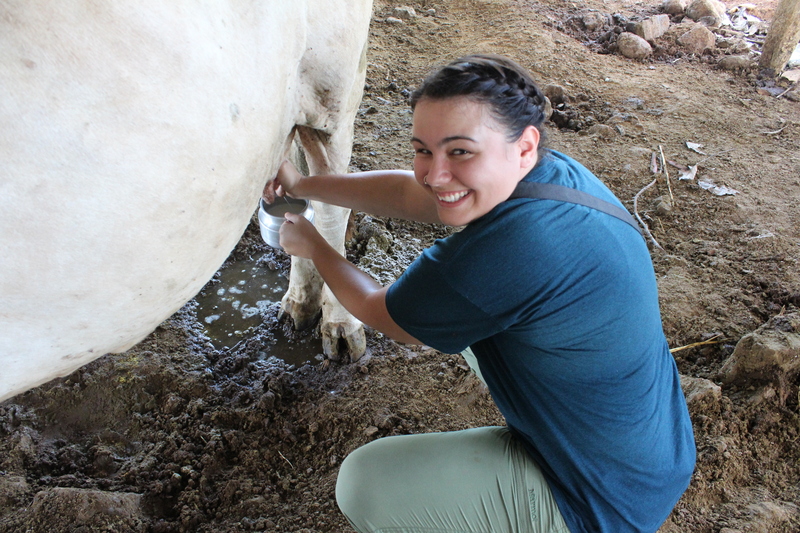 We were eager to learn and participate in the inner workings of farm life in Mastatal. 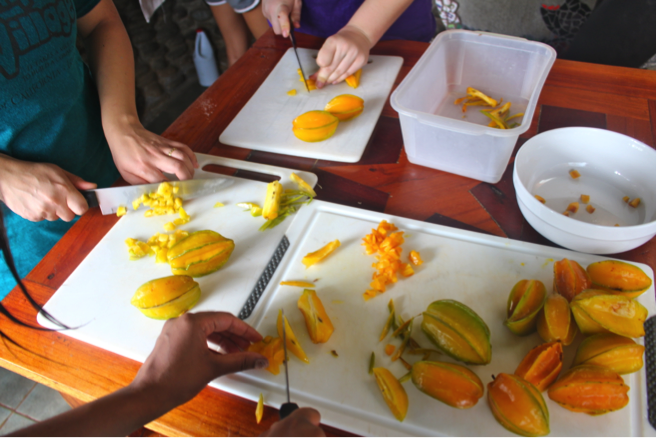 Cutting starfruit to prepare starfruit jam. Throughout our time in town, we had many opportunities to engage with the local community—a small town of about 150 people. Our first night in Costa Rica, we walked to the community center, a large room in the middle of the town, for their bingo night. While some participants were fluent in Spanish, we were all still a little nervous as to how we would communicate with the townspeople. It was soon apparent, however, that they were kindhearted, friendly, and good-natured despite us not being able to communicate as clearly as a lot of us would have wanted. The outside of the community center where we played Bingo with the town. 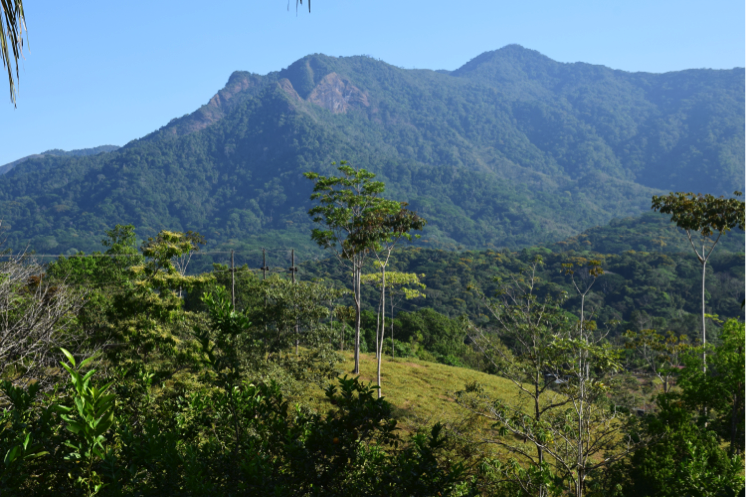 Mastatal is nestled along La Cangreja National Park, just another reason we were in awe of all the wildlife we encountered during every hour of the day. From small walks into town from Siempre Verde to more strenuous hikes up and down mountainsides, we were surrounded by chirps and buzzing that we were so far removed from because of our lives in suburban areas of California. Notably, the team’s first long hike down the mountainside was rewarded with a cooling swim in three natural pools and a small waterfall. This was just a taste of the amazing scenery and environmentally stimulating experiences we would have during the rest of our time in Mastatal. All of us learned to overcome physical and emotional obstacles, pushing ourselves past our established comfort zones. Part of the trail to get to the main part of town in Mastatal. 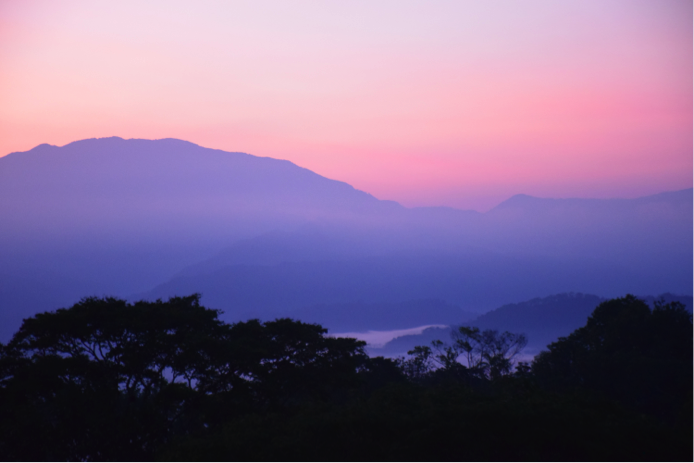 Watching the sunrise in Mastatal is definitely something you’d have to experience for yourself. The team was able to tour several sustainable family farms in the town, including La Iguana, an organic chocolate farm! All of the team members got to interview the people they met on the farms and during daily interactions with other locals to complete their research projects. What was so impactful about these tours was not just the innovation and creativity each farm used in developing their agriculture, but the dedication from each family member to our environment. When one member of our team asked on one tour if the family had ever thought about using pesticides on crops, the son giving us the farm tour said of course not. Respecting their surrounding environment was not an option, but a mandatory and ingrained part of their daily lives. Seemingly tiny changes to our daily routines, such as turning off the water in our outdoor shower while we shampooed and scrubbed our bodies, broadened our mindset. Taking care of the environment we were immersed in no longer seemed impossible or time-consuming. It was second nature to the locals in Mastatal. And soon, we all began feeling the same way. 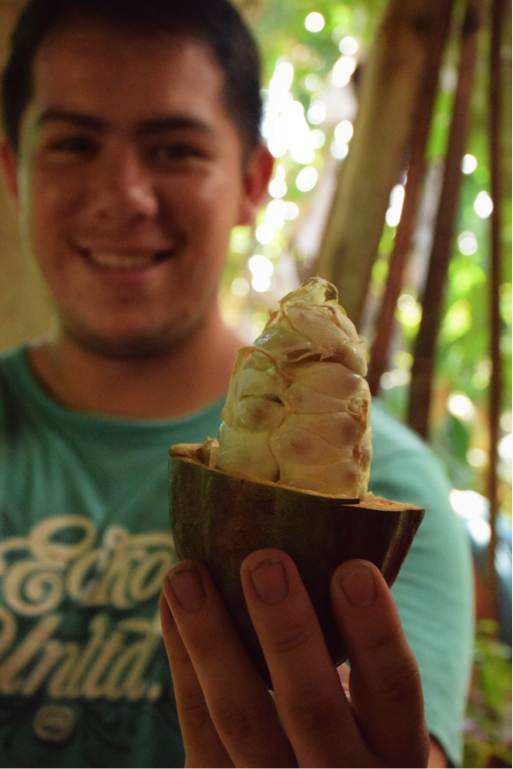 One participant holding cacao from the chocolate farm. The white part of the fruit is a far cry from the processed chocolate we are familiar with. 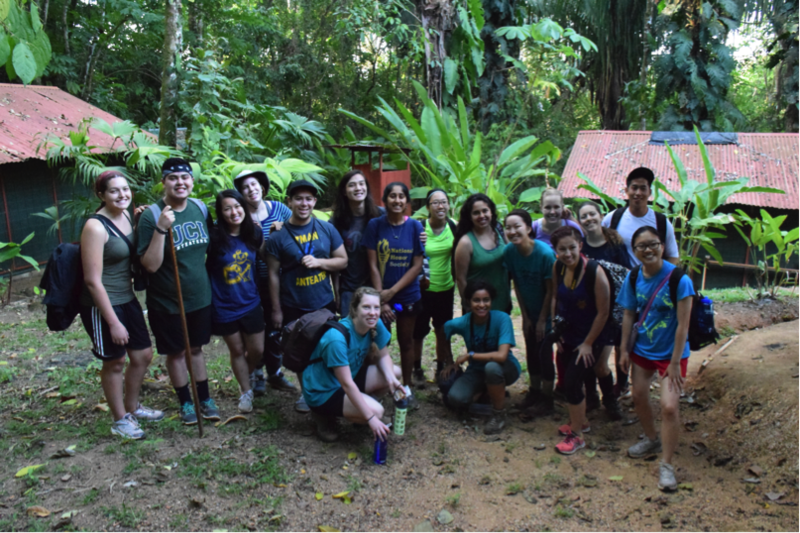 Aside from our educational experiences about environmental sustainability in Costa Rica, all group members participated in a homestay program for two nights with local families from Mastatal. 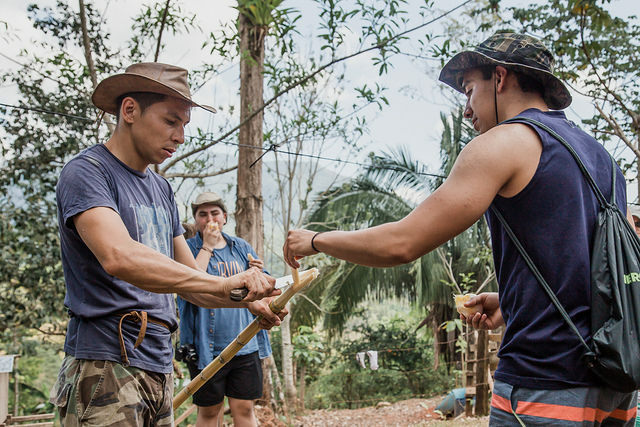 This cultural immersion experience was an integral part for our team, as many of them had never experienced a homestay before. Most families only spoke in Spanish, which made it difficult for many of us in the beginning, but we began to open up and become more confident in our abilities to communicate with one another. Our host families took great care of us and welcomed us into their homes. As someone who took Spanish in middle school, I was surprised by the amount of conversation I could understand. My host mother, Lusmilda, cooks for the local primary school, so we were well fed each night! She even caught cockroaches in our room by her bare hands when we screamed in shock (a common practice for her, but a foreign sight for me and my two tripmates). Her daughter, Priscilla, told us about her favorite television shows and movies (Spongebob Squarepants and Twilight were on the list). I was able to play children’s games with Priscilla and her two visiting friends, Rosita and Jimena. Regardless of the language barrier, their ability to accept and teach me new things was extremely uplifting. When we all regrouped as a team the following day, we reflected on our unique homestay experiences. Ultimately, the team all realized that despite our tremendous differences in ways of life, we had a lot of commonalities that bonded us together. 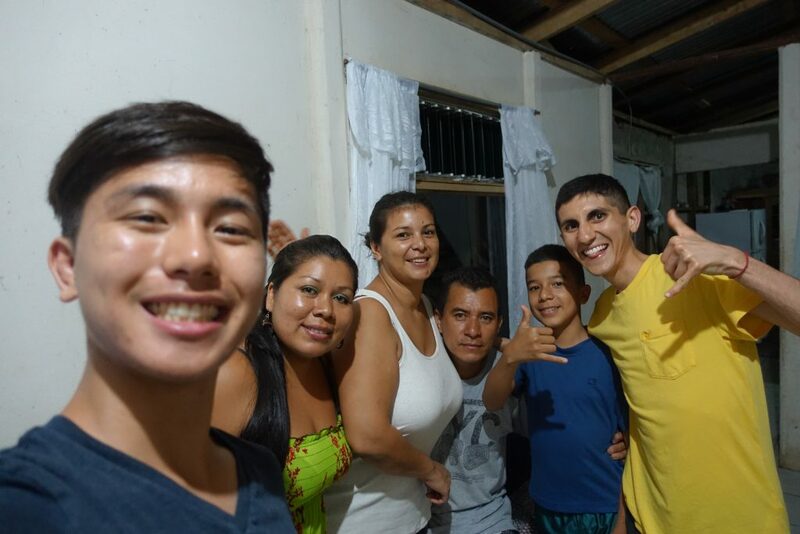 The kindness and compassion our host families showed us remind me that while national and cultural boundaries exist, the connection each person can have with another when we examine our mutual values is so much more important. We left the family with gifts that we thought reflected our personalities, but it seemed unfair, as they gave us so much more. 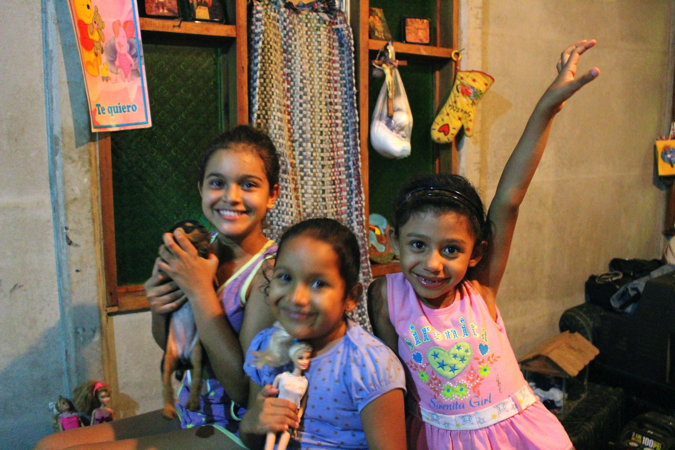 Priscilla, Rosita, and Jimena pose for a photo with their dolls and Roxy, the family’s puppy. By the time we had to leave Mastatal and made our way to the coast, it felt like we were leaving our home. Nevertheless, we moved forward to continue our exciting journey. The next stop was Hacienda Baru, a wildlife refuge in Domincal on the Southern Pacific Coast. 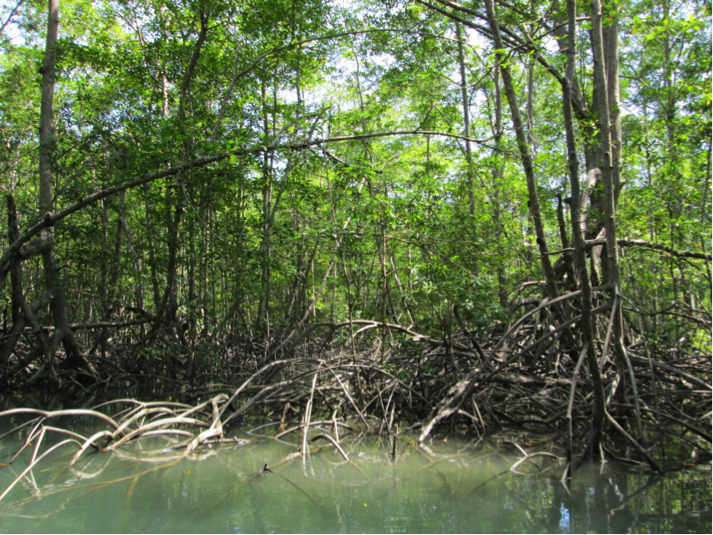 First, we took a boat tour to learn about the mangroves and its impact on the ecosystem. It was a relaxing change of pace to our jam-packed schedule. After, we headed to Hacienda Baru where we took our hiking backpacks and hiked through the mountains to spend a night in the jungle. All of us were a little nervous, but we excitedly took in our new surroundings. 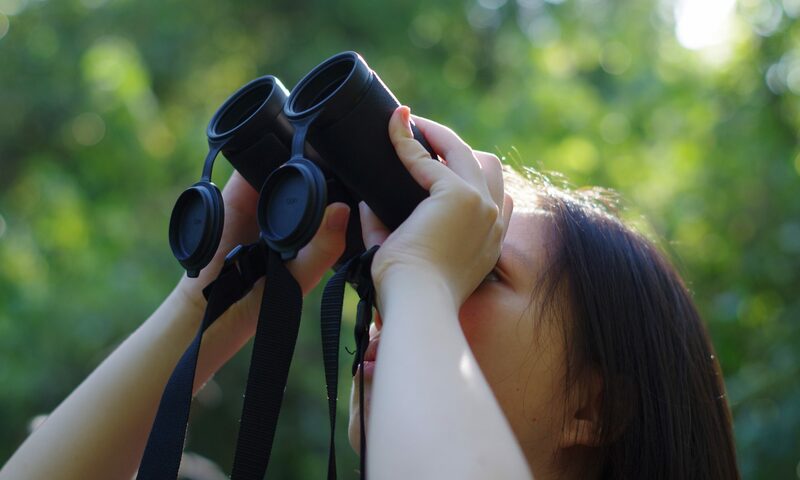 We spotted lots of birds and several sloths high in the canopy of trees overhead. As darkness settled in, we reached the campsite and ate dinner together. The activity for the night was a night hike led by our knowledgeable wildlife guides. 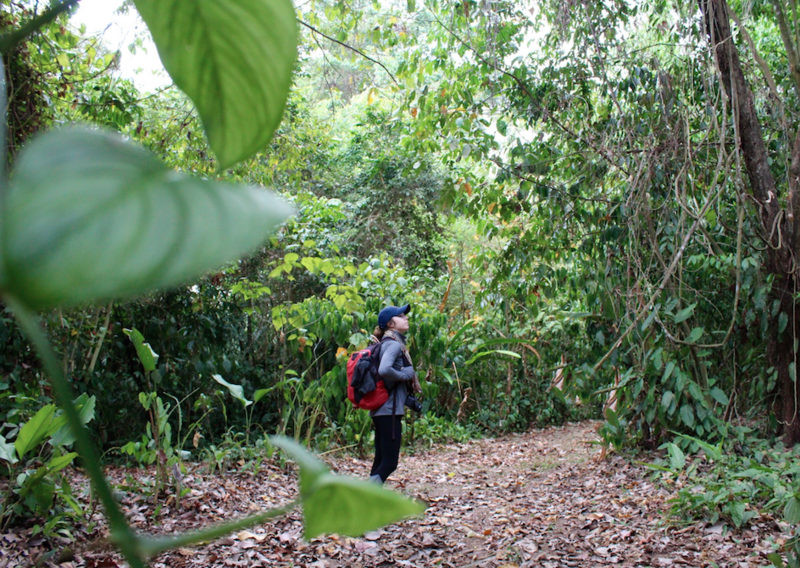 Many of us did not know what to expect—what insects and snakes could we run into? But, we were able to push aside our doubts and worries, allowing ourselves to fully experience the nature around us. 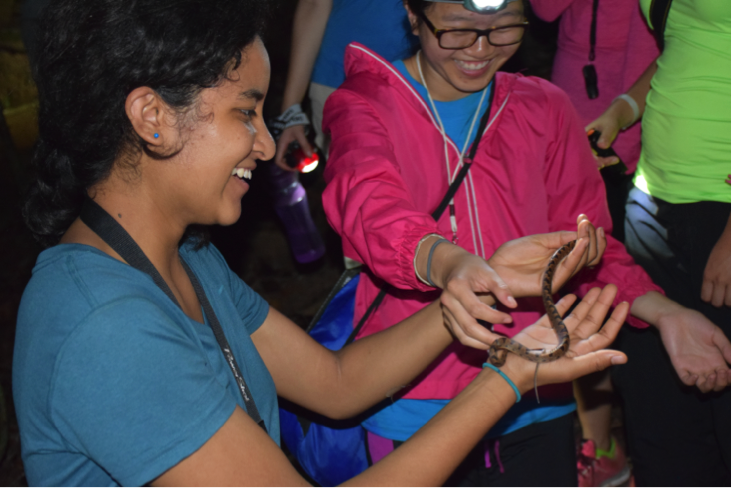 After spotting a small snake, our wildlife guide told us how to hold it…Kelly and Shannon definitely had an experience to remember! 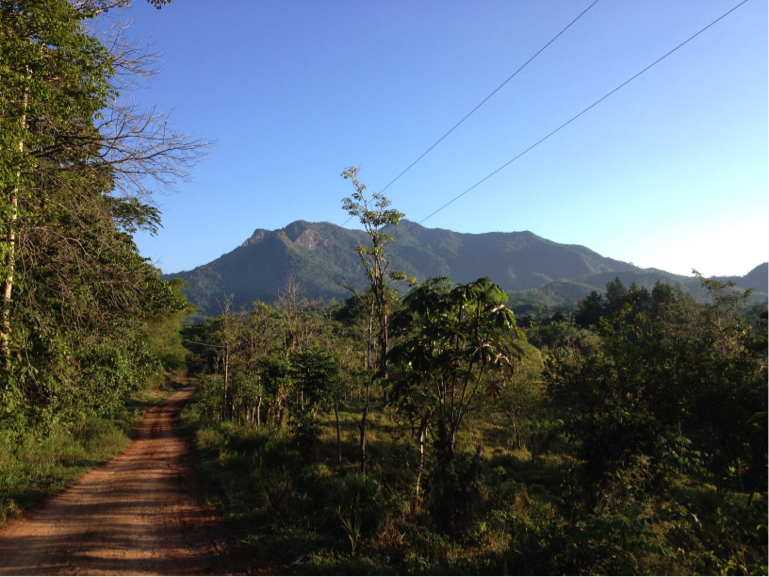 In the early morning, the group hiked back down the mountain to Hacienda Baru, where we learned about environmental sustainability and the history of one man’s journey to forming the wildlife refuge we were staying in. Overcoming some of our fears (my fear of height, to be precise), we hiked back up parts of the mountain to go ziplining through the jungle. Our wildlife guides cracked jokes as we made our way through the eight ziplining courses. They were happy and warmhearted through every question, squeal, and inquiry we tossed their way. 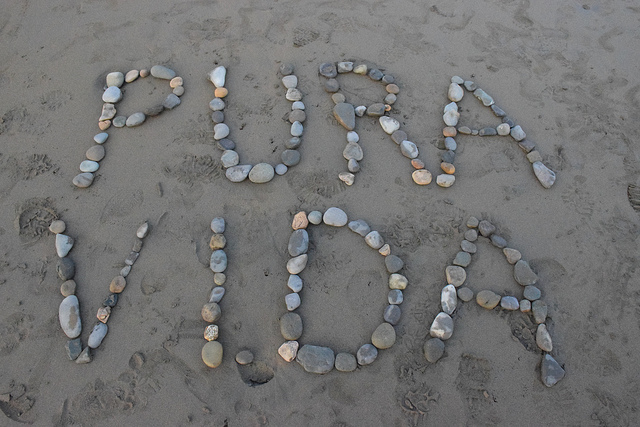 It was just one reason why I understood Costa Rica to be the happiest country in the world. Ultimately, my time in Costa Rica with such a tightknit group of students, surrounded by birds and bugs in the jungle was the first time I truly felt an overwhelming sense of freedom. The motivation, commitment, and consideration found in only the kindest of people back home was lurking in every individual I came across in Costa Rica. No one was ever in a hurry—never talking to you but not really listening to you. People mattered, and so did the planet. That, in essence, is the biggest lesson we learned during our whirlwind adventure. That no matter how small, every person matters and every contribution they can make to create a more inclusive, compassionate world is valid and valued. That it really does not have to be so dramatic or difficult. That change is possible, and making our world a better place is something we can all do together. The group at our campsite on the mountains by Hacienda Baru. 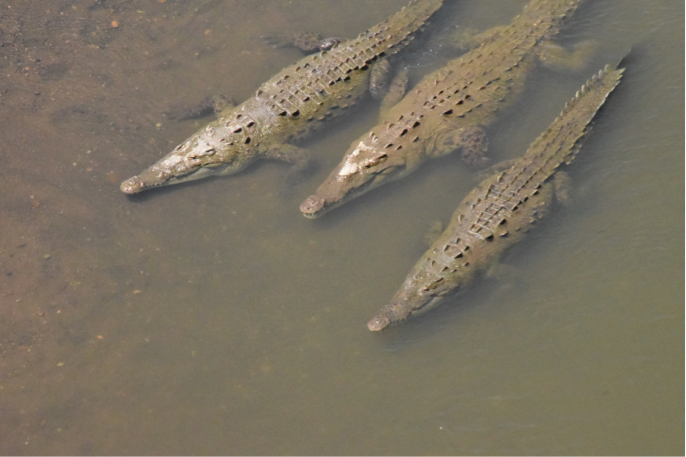 Some of the crocodiles we saw in a river—we thought they were logs at first! We arrived at the airport much quicker than I anticipated. We eventually had to part ways with Marcos and Ryan, the two staples in our long journey, and we were overcome with a sense of sadness. Walking into the airport, we waited to go through the routines of airport security. However, we hit a snag in our itinerary, as the airlines told us we could not board on our scheduled flight home. Instead, we spent a night in Panama, continuing our adventures and gaining one more stamp in our ever-growing passports. 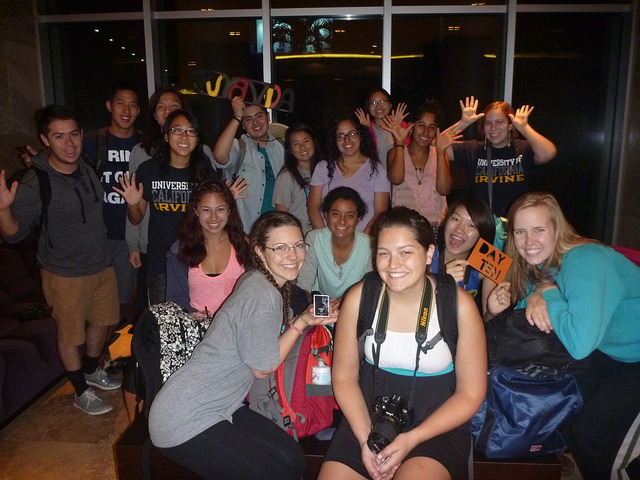 The last group photo taken while abroad in Panama! It was there where we finally came to terms with going back home. We realized that even though we were leaving such a wonderful place, we were taking back a lifetime’s worth of insight and experiences we would not soon forget. And most importantly, we have a community to return to and a new group of friends that we can now call our family. I hope you stay tuned for more exciting and enlightening blog posts written by our student participants. 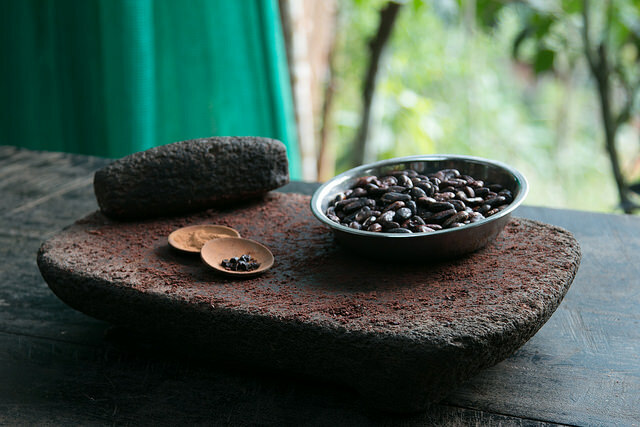 For more information about Mastatal and Finca Siempre Verde, please visit: http://www.cabanassiempreverde.com/ or visit their page on Facebook: http://facebook.com/finca.siempreverde.